Disney Donna Kay: My Research for Fun Has Begun!! My Research for Fun Has Begun!! So Ashley & I went to do a little shopping for winter clothes for Lexi (it gets cold in Korea) and while we were there I had to buy Disney Vacation books. I picked up "The Complete Disney World 2010" by Julie & Mike Neal which I LOVE. Here's a link from Amazon (http://www.amazon.com/Complete-Walt-Disney-World-2010/dp/0970959672) and a pic of the book I love it, it has tons of pictures (500+) and info on EVERYTHING there is to do at Disney including helpful tips and cost of a lot of the attractions. By far the most pictures of the resorts of any book I found. The authors have written several books about Disney World and this is the first one I have bought. It is so well thought out, they go over each attraction and rate it and put a check mark by their favorite. They do the same with each level of resort. I find myself looking at this book all the time. It's a favorite of Dakota's too. 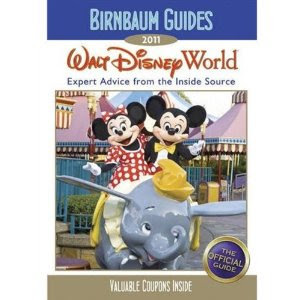 Birnbaum was the one book I knew I was going to get because it helped me make so many of my decisions from my 2003 trip and it is the "Official Guide." There are also coupons included in the back of this book which you may find useful. 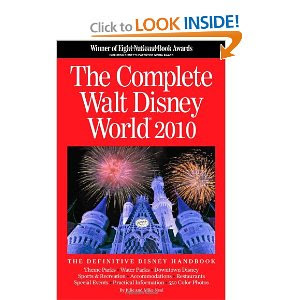 But I have to admit if I were going to recommend a book it would be "The Complete Disney World 2010." My other research has lead me to the pages and pages of information on the internet. I am addicted to the Disboards!! I am now reading Trip Reports and Pre Trip Reports and reviews of restaurants and checking out menus so I can make my advance dinner reservations and OMG don't get me started on all of the acronyms that Disney people use (ADR, BCR, TOT, MK, AKL)!!! That will be a post all by itself!! By the way, did I mention I called to pay for half of our vacation and found out that Whisper had not included Park Tickets for the Sunday we check out. Johnson was a sweetheart and took care of everything right away and I think it cost us an additional $15.